There are several members of my family who feel that way about any good rice pudding. I know that Son would especially appreciate this rice pudding recipe because it’s dairy free (and vegan as well). I love Sarah’s pretty and tasty garnish of toasted coconut, too. If you have rice pudding lovers in your family, I think you’ll want to make this recipe for them. Especially if the rice pudding lover is you! 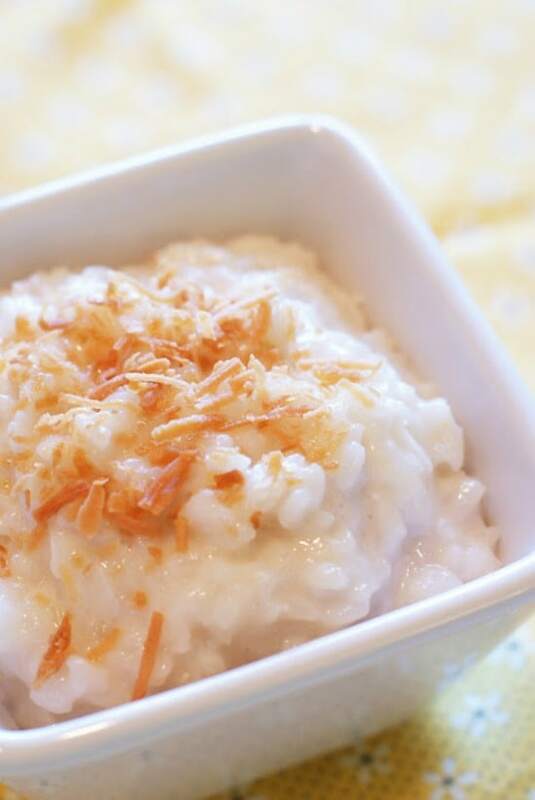 Click this link for Sarah’s Coconut Rice Pudding recipe over at Sarah Bakes Gluten Free.